1. Smith M, Halvorson G, Kaplan G: What&apos;s Needed Is a Health Care System That Learns: Recommendations From an IOM Report. JAMA 2012;308(16):1637-8. 2. Johnson CL, Carlson RA, Tucker CL, et al: Using BCMA Software to Improve Patient Safety in Veterans Administration Medical Centers. J Healthc Inf Manag 2002;16(1):46-51. 3. Bane A, Dervan A, Featherstone E, et al: Impact of Barcode Medication Administration Technology on How Nurses Spend Their Time Providing Patient Care. 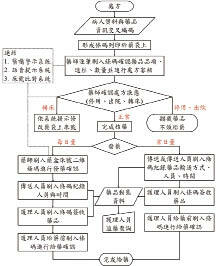 Journal of Nursing Administration 2008;38(12):541-9. 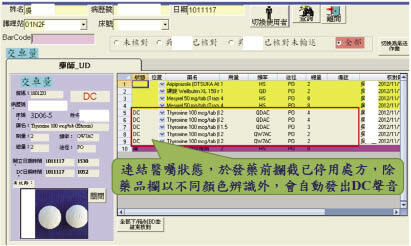 In recent years, barcode system in drug inventory management and medication administration has been used in hospitals. 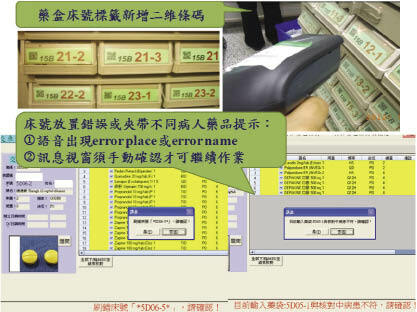 Barcode medication administration (BCMA) system has been implemented in the U.S. Veterans Health Administration (VHA) to reduce the medication administration errors and dispensing errors in 2000. 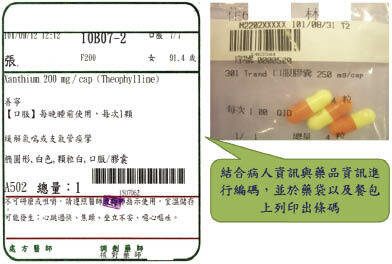 However, it was non-personalized and lack of inspection function by using commodity barcode to identify medication appearance. 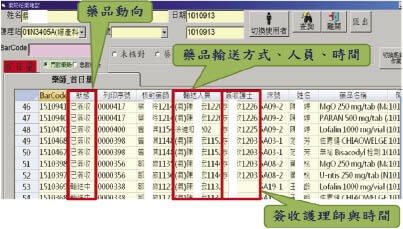 We established "personalized barcode medication administration and inspection system" for inpatient. 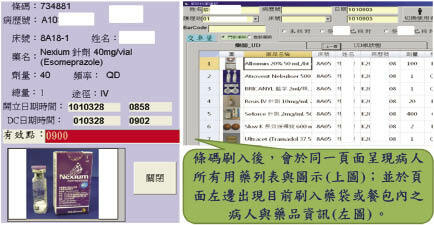 The functions of this system were not only identifying medication appearance and verifying the patient&apos;s identity, but also inspecting the correctness of prescriptions and the medication administration by combining with a variety of voice alteration system. 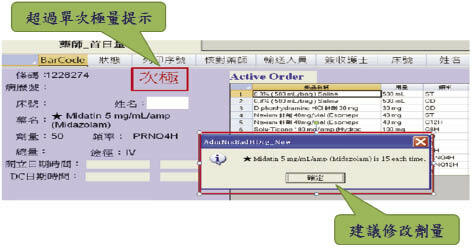 This system can improve the medication safety of patients and the efficiency of pharmacists.